Tami is a Fiction Writer, Reader, Career Advisor, Sagittarius, INTJ, Coffee Drinker, Spa Goer, Walker, Ocean Lover, Anglophile, Mom and Quoteaholic, but not necessarily in that order. Tami has worked in the staffing and human resources management industries for over 15 years. She has served on the boards of several Human Resources and Recruiting organizations in Colorado, and donated countless hours of volunteer time to providing job search advice to college students, displaced workers and immigrant populations. 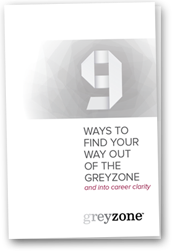 You can read her musings on careers and the job search process on the greyzone blog and at Expert Beacon. An erstwhile journalist, Beth collaborates with clients to create career histories that tell stories more than merely list accomplishments. Her interview technique and knack for turning a phrase helps her clients’ résumés stand out from the conventional versions that run the risk of becoming part of the blur that HR managers see every day. Her varied background – from interviewing Kurt Vonnegut for a college assignment, then five years of editorial experience at the Chicago Tribune, and now working with a wide array of organizations across the country – enables her to approach each client’s project from the angle that best represents their unique skills and talents. Lisa has been a strategic partner in the Human Resources field for over 20 years. With a strong emphasis in Talent Acquisition for small business, agencies and global organizations– connecting people to opportunities is her passion. Lisa is particularly experienced in the areas of Identifying and developing key talent, building a diverse and inclusive culture and improving standards of excellence. She has a unique understanding of and ability to advise on sensitive and personal conversations, such as resumes review, career searches and job coaching. Lisa currently serves as representative to build bridges with diverse associations, community leaders and educational foundations. She has a determination and perseverance for educating young minds in STEM related fields and currently supports outreach efforts from elementary schools to industry showcases. Lisa loves consulting people through the varying ebbs and flows in their lives—when they’re being turned down for a job, proposing an outrageous solution or chasing a dream. Lisa focuses on the individual to help them achieve success. Lisa earned her Bachelor’s degree in Education from University of North Dakota and currently possesses her PHR certification. by mariojann.com | Hear Tami's thoughts on starting greyzone, running a business and the elusive dream job.